The Mirabell Palace Concerts are given by a host of expert chamber orchestras and ensembles, including Orchestra 1756, Quartett 1791 and the Trio Mirabell. 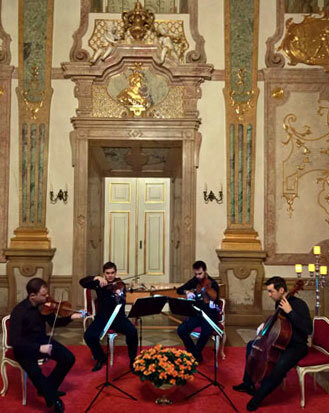 And many of the concerts at the Palace are played on period instruments in order to authentically capture the magic of Mozart’s music. Bach, Händel, Haydn and Vivaldi, as well as less well-known composers of the baroque period such as Giuseppe Tartini also feature in the Palace’s programmes.